If you want to have a jacket that will make people go crazy and that could help you in transforming your personality from an ordinary to an extraordinary one. This jacket that Famous Movie Jackets brings to you is worn by the gorgeous and extremely talented musician of all times, the one and only Michael Jackson, when he went to a world tour. He was noticed by many and got highly appreciated for his looks in this jacket as this jacket is beautiful. It is so classy and elegant that whoever sees it will continue seeing it for long. 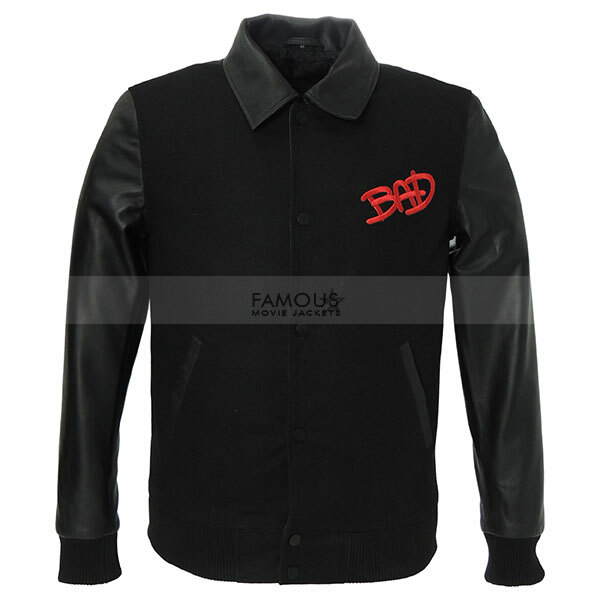 This Michael Jackson World Tour Bomber Jacket is made up of the purest leather and there will be no issues regarding the quality of outfit provided by us as we know that a good product is not only the one with good looks but also the one that comes with good quality and durability. So here we are presenting you this and we are sure that this will not disappoint you.